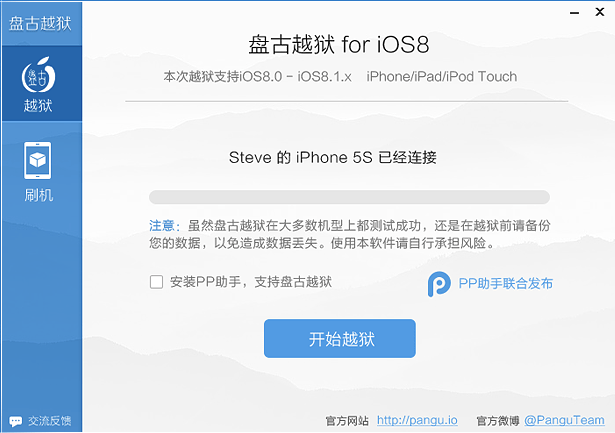 PanGu, the first Chinese team to offer an iOS jailbreak, has released an iOS8 and iOS8.1 jailbreak that works on the latest Apple products, as well as older devices using the latest version of iOS. PanGu iOS 8–8.1 jailbreak is currently a Windows only affair, with a Mac OS X version due for a release at a later date. It comes in Chinese and English. Watch the installation demo on YouTube or Youku. 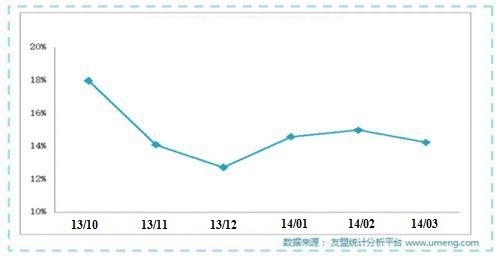 With the increase of official distribution channels and iOS updates, the iOS jailbreak rate in China dropped sharply from over 30% to 12.7% in 2013, according to a report by Umeng. Umeng’s latest report showed the jailbreak rate lingering at around 15% in the first quarter of this year. Users use jailbreak services for features that aren’t allowed in App Store, though some built-in security features will be compromised and their phone vulnerable to hackers who could steal passwords and data. When the new iOS updates or third-party software within the system can offer what the smartphone users are looking for, they might reconsider whether it is worthwhile to take the security risks engendered by jailbreaking. The iOS 8 mobile operating system is Apple’s most open iOS release to date, allowing third-party Touch ID, widget and extension support. Some observers believe that such features could be detrimental to the jailbreak community, while others think it will trigger the emergence of new and innovative tweaks. What new features are you looking for from jailbreaks: phone call recording, T9 dialling or registration address for short messages?